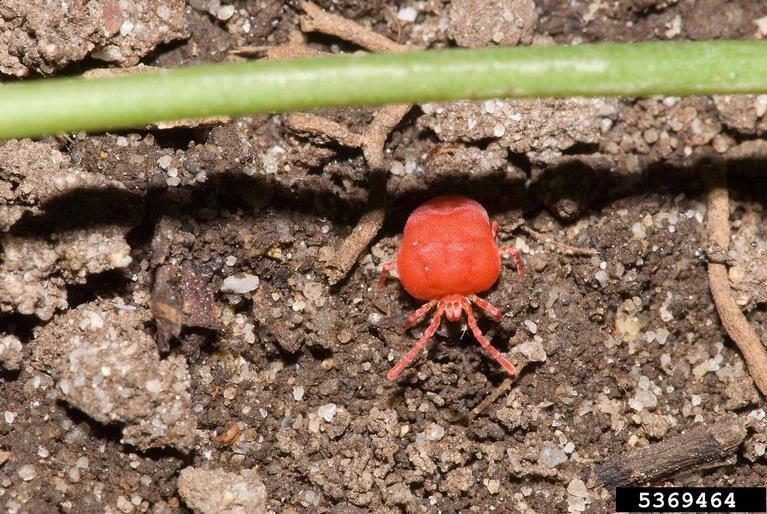 Chiggers are a problematic mite, that is in the Trombiculidae family. They are also commonly called: harvest mites, harvest bugs, harvest lice, mower’s mites, berry bugs, or red bugs. Chiggers have a nasty reputation for leaving behind very painful and uncomfortable “bites”, that itch intensely. But what are chiggers exactly? and how do you prevent and kill them? Chiggers – What are they anyway? Many incorrectly think that Chiggers are insects, but they aren’t. They are actually more closely related to spiders and ticks. 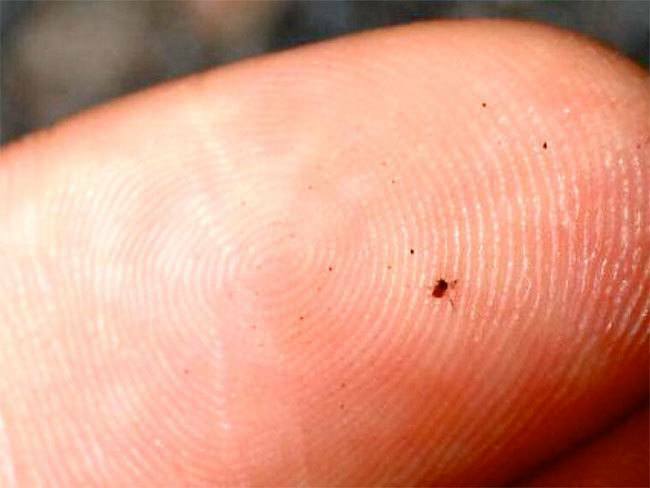 Chiggers are very tiny, measuring only about 1/60th of an inch (0.4mm). They are commonly found in grasssy and woodland areas, in warm climates all over the world. A particular species of Chigger lives in the Southeastern United States, and is best known as the hardest biting Chigger in the world. Trust us, they put a hurting on you. Chiggers begin as eggs, laid by adult Chiggers on leaves and plants. They then hatch (becoming larva) and wait for a host to feed on. When a host gets near their location, they jump onto the host. Chigger larva often stay together in groups, and often also move to a host in groups as well. Chigger larva stage is the problematic one for people, as that is the only time Chiggers seek out skin to feed on. After a week or so of feeding, they drop off the host and develop into their nymph stage. Nymphs then develop into adults, where they primarily live in soil, and feed on small arthropods and their eggs. They are also known to feed on plant material as well. During the larval stage, Chiggers actively seek out human and animal skin to feed on. As humans are walking through infested areas, the Chigger larva will jump onto the host, and look for the first exposed skin location they can find. This is is often and clothing gaps, such as the tops of socks, bottoms of pants and shorts, waistline, and neckline. Contrary to popular belief, Chiggers do not bite. They actually do far worse. Using their sharp legs, they pierce a hole in your skin, an inject their saliva into the hole. In their saliva is an enzyme that almost that begins to digest the softer parts of your skin into a liquid. That liquid is ingested using a straw-like tube. They will engorge themselves for a few days, then drop off. The enzyme in their saliva, that is used to digest your skin, along with the damage from the hole that is made, causes red, pimple-like welts. These “bites”, as people commonly refer to them, cause some of the most intense itching you can experience. Unfortunately, they also tend to attack in large groups, causing numerous “bite” marks, that can often look more like a rash, commonly referred to as a “chigger rash”. 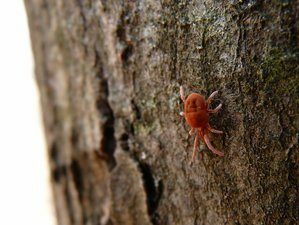 Chigger bites are incredibly uncomfortable, and the longer you wait to treat them, the more painful they can be. Chigger Bite marks generally show up within 24-48hours of being “bitten”, and by then the Chigger itself has usually dropped off. Treatment of Chigger bites is similar to treatment traditional insect bites, with a few differences. You can read more about treatment, in our Chigger Bite Treatment Guide. What does a Chigger Look Like? Chiggers look different, depending on what stage of the Chigger Lifecycle they are in. We’ll assume you’re wondering about the larval stage, which is where they cause the itchy red sores. Chiggers are very small, although not microscopic. They can be seen with the naked eye, but not easily. They are about 1/60th of an inch (0.4mm), that is about the same size as a period in this article. They are reddish-orange in color, and fairly bright. If you do see them, it will most likely be on your clothing or skin, and they will often be moving about, fairly quickly. Unfortunately, Chiggers are found all around the world in moderate to hot climates. They are highly prevalent in the southeastern United States, where one of the most painful species is prevalent. Chiggers can almost be found anywhere, but frequently in grassy and woodland areas, including yards, fields, and golf courses. They generally prefer damp and moist conditions, but that is not a requirement and can be found in dry areas as well. Chiggers aren’t contagious, in the normal sense of the word, but they can, in fact, move from one host to another. If you’re outdoors one day and get attacked by Chiggers, bring them home, and hug your family, the Chiggers on your clothing or skin, can move to your family members and attack them as well. If you think you’ve been exposed to Chiggers, it’s critical that you immediately remove all of your clothing, and place your them in the wash. Then you should immediately take a shower and wash vigorously with soap to remove and kill them. The trick to killing a Chigger infestation is determining where they are in your home. Chigger adults are not difficult to see, as they are bright red, and often live in soil. In your yard, Chigger nests are often found in pine straw, mulch, grass, and tall grass. Generally, anywhere they can hide and have protection. Chiggers aren’t very hardy though and tend to avoid direct sun and short grass. So you’ll want to focus on shaded areas, with ground cover (like mulch or pine straw), and taller grass or plants. 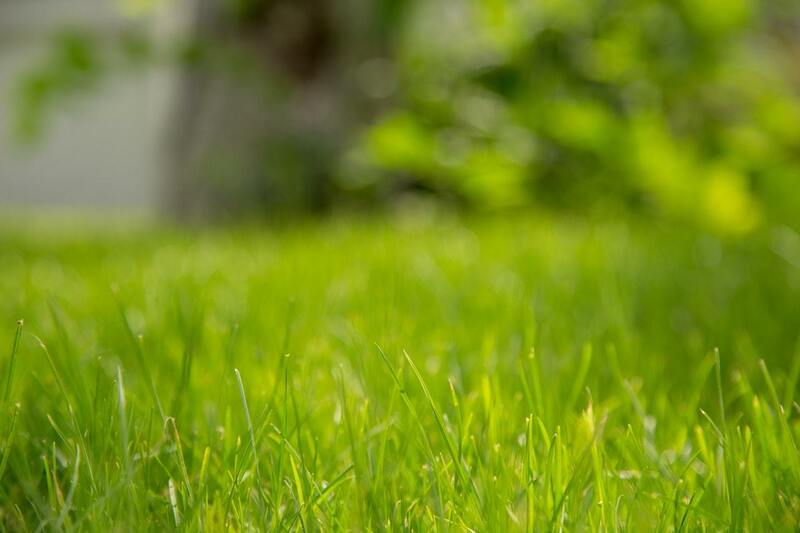 If you have a smaller sized lawn, it is best to just treat your entire yard. Purchase a liquid insecticide and yard sprayer. We recommend Permethrin, but numerous other products work as well, including Liquid Sevin. Mix the insecticide according to the directions in the sprayer. Per the instructions, spray your yard with the liquid insecticide mixture. Repeat as recommended in the product instructions.